Animal Wildlife Trappers also performs animal removal for commercial properties in Orlando and throughout Central Florida. 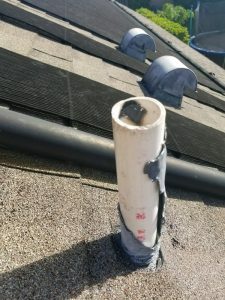 Much in the same way that animal intrusion can disturb residents, it can be equally devastating to a commercial property. Our expert animal wildlife trappers have vast experience in eliminating animal intrusion problems. We have dealt with every type of animal intrusion problem that exists, and have the experience and capability to eliminate this problem permanently. So whether you own a commercial building, strip mall, retail store, industrial building, or shopping mall, we can provide a lasting solution to your animal invasion problem. All of our wildlife and animal removal techniques are based on the humane treatment and removal of our friendly critters. 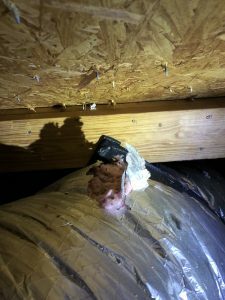 So whether you have a rodent problem, a raccoon issue, or birds wreaking havoc on your property, we can move quickly and decisively to restore your peace of mind. We perform these wildlife removal and animal removal services for many commercial clients and commercial building owners throughout Orlando and the entire Central Florida area. We will do a thorough and complete the inspection of your building, restaurant, or retail space. We’ll determine exactly what the problem is and work with the owner to provide a long-term solution to the problem. Many building owners feel the problem never seems to go away. With Animal Wildlife Trappers, our results are permanent and we will stand behind this guarantee. So whether you have a brand new building that just received your C.O., or an old and dilapidated structure that is a haven for infestation, we have the tools and experience to perform even the most complex solutions. Rats and mice have been known to bring down a business because they are so crafty in avoiding capture and continuing to expand their presence. This is why it is so important when trying to fix a serious animal intrusion issue. And there is no animal or type of wildlife that we have not encountered and dealt with in removing from a commercial property. Sometimes these critters are anchored deeply in the unit’s attic space, and other times they never even enter the building but are simply on the property. Either way, we all know these critters can be very bad for business! They can create angst for your clients as well as your employees, and the only solution is permanent removal. One of the cornerstones of our business is performing humane animal removal and humane treatment of animals. All of our removal practices incorporate this philosophy, and we make every effort to remove wildlife in a careful and humane manner. This includes the removal process itself, as well as the relocation process after capture. We always focus on the animal’s best interest throughout the process, as all of our team members are animal lovers too! 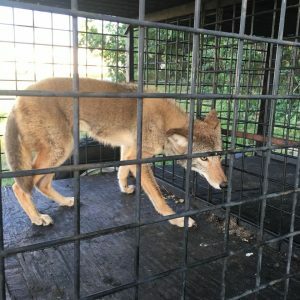 Call Animal Wildlife Trappers today at 352-267-0546 for a free quote, or if you have any questions about our commercial and humane wildlife removal. We offer wildlife and animal removal services throughout the Central Florida area to include Orlando, Winter Park, Windermere, Apopka, Lake Mary, Longwood, Sanford, Winter Garden, Clermont, Deland, Bithlo, Hunter’s Creek, Kissimmee, Lakeland, St. Cloud, and all of the surrounding areas.